"It's never the same field twice"
The train started on time, and was soon speeding smoothly across Sweden towards Stockholm by way of Falköping and Skövde. 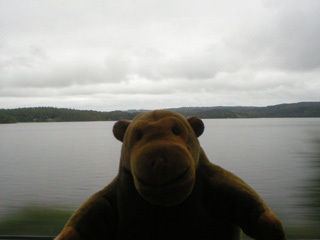 Mr Monkey looked out of the window at Sweden, which was sometimes lake and sometimes field. 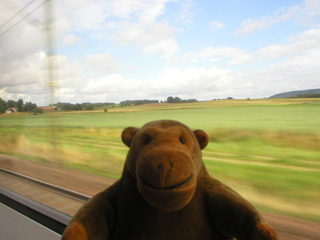 Sometimes the carriage leant over to one side, in a very gentle manner, and when it did all Mr Monkey could see was the sky.